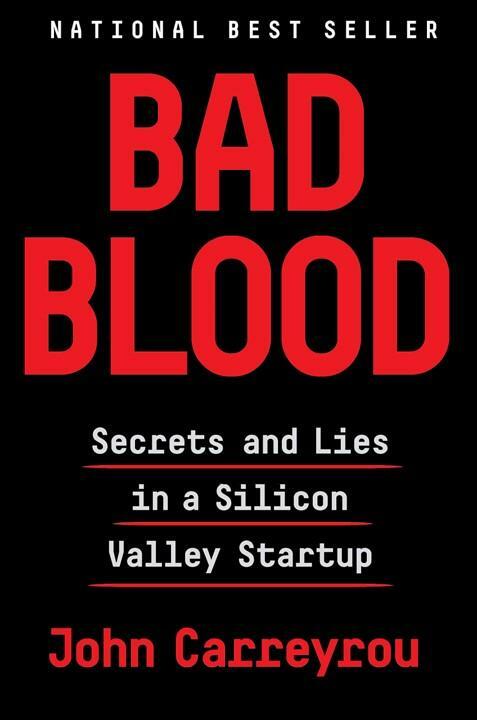 Bad Blood - John Carreyrou — Karn Couzens & Associates, Inc. This is a non-fiction accounting of a sad, but true story from the past few years of how a young woman portrayed herself as a new version of her idol, Steve Jobs, for the medical field. Elizabeth Holmes proportedly developed a new technology whereby her small medical device could test for over 200 diseases from a single drop of blood, and more quickly than the dreaded large needle that had been commonly used. She raised over $900,000,000 from such investors and advisers to her firm, Theranos, as Henry Kissinger, Larry Ellison, George Schultz, David Boies, Rupert Murdock, among others, as well as Walgreens which agreed to put her devices in their stores for the public. At one point Theranos was valued at over nine billion dollars. However, as recited in detail, there never actually was such a working device, and Ms. Holmes, who dressed all in black like Steve Jobs, had a striking appearance and a very low voice, convinced all of the above that her new small blood testing box was an enormous development in the medical field, and was much cheaper than normal lab tests. Unfortunately, no one, including Walgreens, apparently ever looked IN the box to see if it worked. It did not.